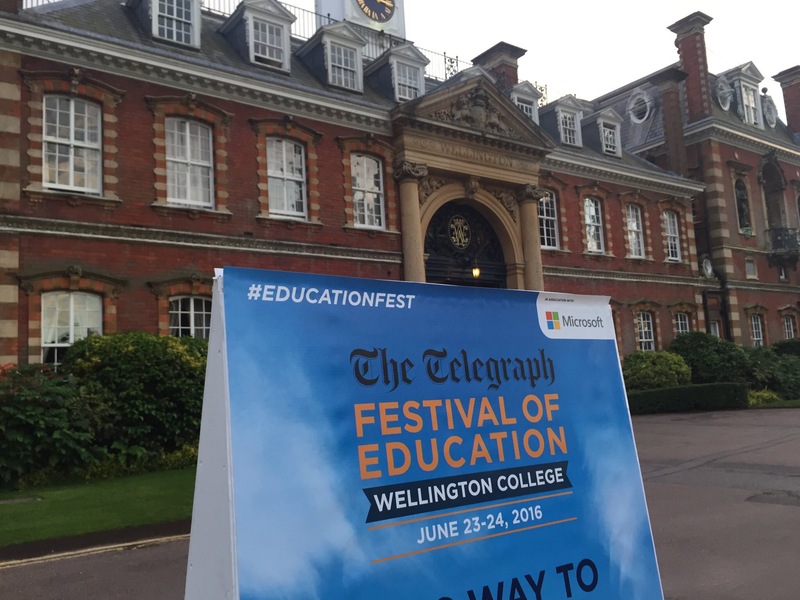 Last week I spent two wonderful days at Wellington College attending the Telegraph Festival of Education. This post isn’t about the sessions I attended or the people I met. It’s an account of inclusion. Everyone knows or thinks they know what inclusion looks like. I’d like to offer some examples of inclusion I came across at Wellington which people may not have thought of as inclusion. 1. I was on two panels discussing school governance. I’m not going to use the gender or ethnic makeup of the panels as evidence of inclusion. What I will say is that the fact that there was a governance strand in the Festival’s programme is an example of inclusion. Governance usually doesn’t feature heavily in educational conferences so the fact that it did here was very welcome. The organisers deserve thanks for including governors. 2. The Festival was open to students too and there were events put on especially for them. Many teachers who were attending had brought their students along. I also know of parents who were attending the Festival who were accompanied by their children. This, for me, is another example of inclusion. 3. I’m a Muslim and I try to pray five times a day. This is sometime difficult when I’m out and about. This year the Festival coincided with Ramadan. I didn’t want to miss prayers while fasting. I was relieved to find out that there was a room under the chapel which the organisers said could be used for prayers. On Thursday (the first day of the Festival) I ran into Carl Hendrick (Head of Learning & Research at Wellington). He asked me if the prayer room was ok. I told him I was on my way there. He quickly called one of the staff and asked him to show me where the room was. The chapel was signposted and I had a map so I probably would have been able to make my way there but I appreciated the guide. Inclusion again! There were other examples of inclusion too (there was even a session on inclusion) but I thought I’d highlight some aspects of inclusion which may not have been obvious to all.